This Power Module is a small size 5A 350KHz 25V Buck DC to DC Converter.It can convert any DC voltage between 3.6V-25V to a selectable voltage from 3.3V to 25V. You can choose 5V direct output voltage with the switch or adjust the output voltage by the blue&white resistor.It is onvenient for you to choose three different interfaces of output.The Ovout interface can output the original voltage of input.so that can be used as the power of other module. 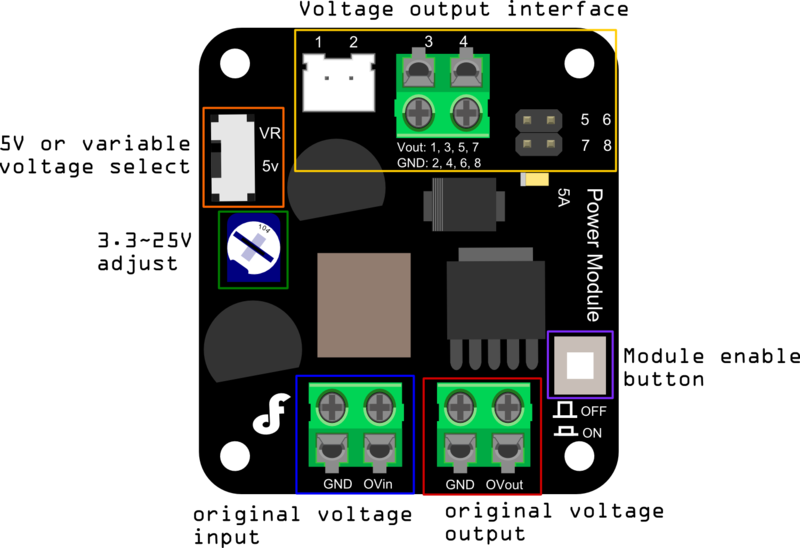 The ON/OFF button on the board can be pulled high to turn the converter module on and low to turn it off. Note: The input voltage must be higher than output voltage. 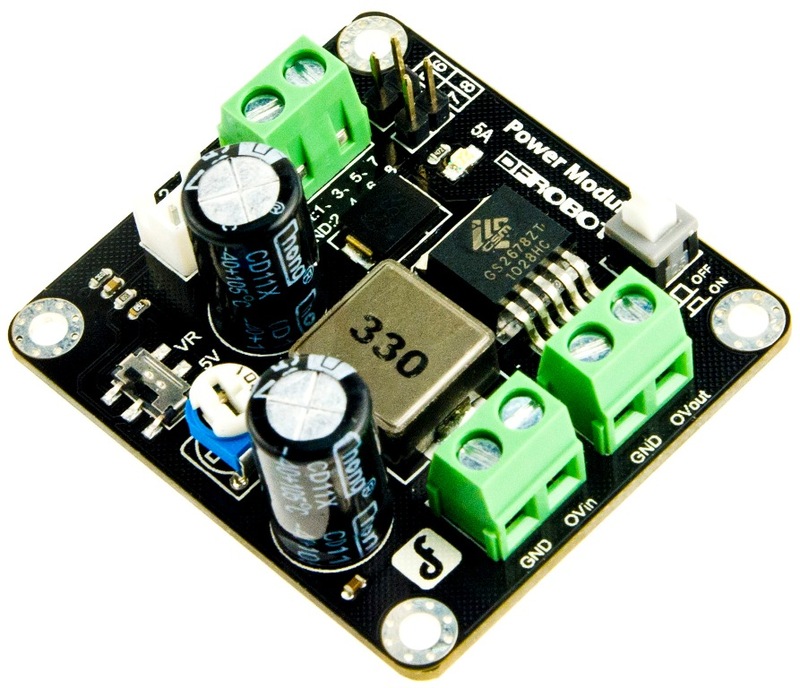 Get DC-DC Power Module 25W from DFRobot Store or DFRobot Distributor.